This article is about how to create a video call with your contacts through the ezTalks apps. 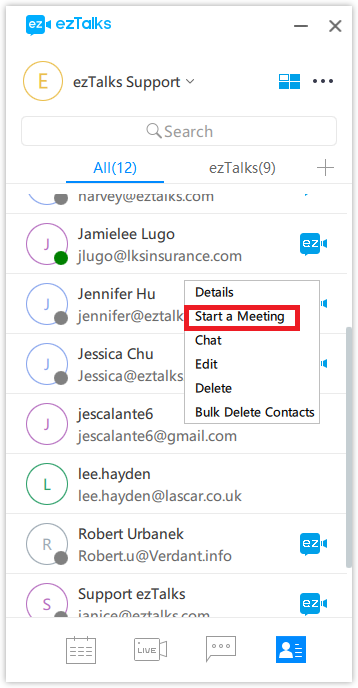 If you and your contact both have ezTalks accounts, you can just have one-click to make video calls with each other without inviting through an email or a link. 1. Download the ezTalks Video Meetings app from google play or the apple store and sign up an ezTalks account. 2. Add a contact to your account. You may read the article of how to add a contact. 3. If you contact also has registered an ezTalks account, there will be an ezTalks icon next to it. Click on the icon and you can start a video call with him/her. 4. If the contact is online, he/she will receive your call invitation and click accept to join in as below. If he/she is not online, an invitation email will send to him/her. 1. 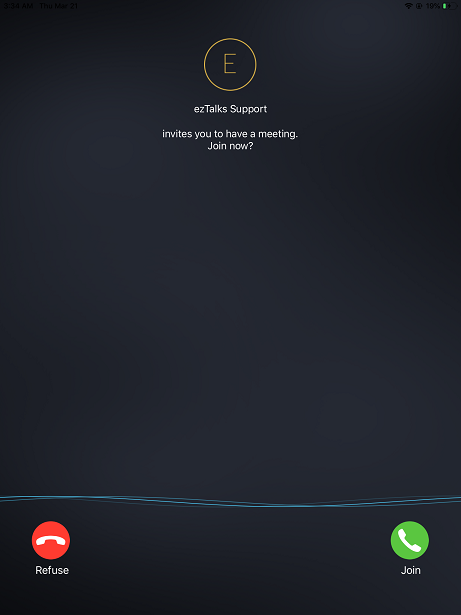 Download the ezTalks Video Meetings app for Windows or Mac and sign up an ezTalks account. 3. Once you have added your contact, you can see the contacts as below. If your contact has registered an ezTalks account, there will be an ezTalks icon next to it. You can right click on the icon and start a meeting with him/her. 4. If the person is online, he/she will receive your call invitation and click accept to join in as below. If he/she is not online, an invitation email will send to him/her. Please note: This feature is available on ezTalks apps for Windows, Mac, iPhone and Android. You can make a video call with your contact on any ezTalks apps.